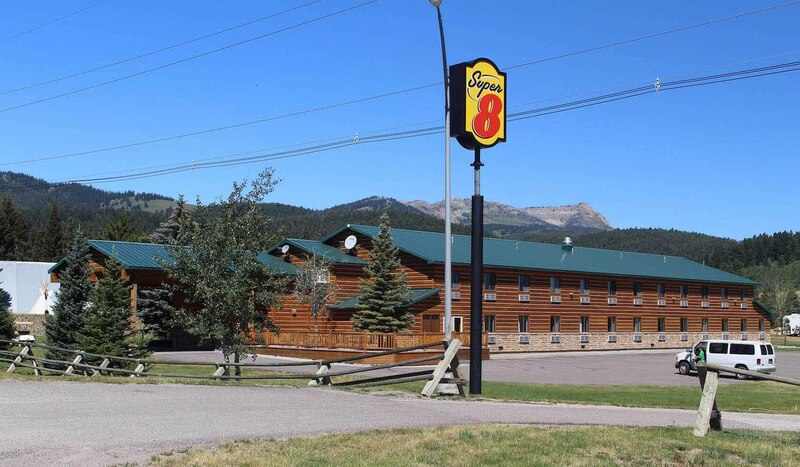 The Super 8 Motel is located 7.5 miles west of Yellowstone National Park on Highway 20 South. We are surrounded by National Forests and are located at the foot of the mountains on Denny Creek. We have a convenience store, pizza, and a campground. The Super 8 Lodge provides excellent accommodations. Summer guests can fish on one of our five ponds and there are many hiking/biking trails leaving the resort. No pets, service animals only.